By the time when the weather gets really hot and dry at lower elevations and the green hills get yellowish-brownish, California’s Sierra Nevada starts to wake up from its winter dream. Also, by this time the cooler and rainier Northern California warms up a bit just to be pleasant for hiking. And this time is the beginning of May. The wildflower bloom is over on the ocean coast and at lower elevations and the wildflowers of the Sierra Nevada are getting ready for a magical bloom. The highest peaks are still covered with snow, but it’s melting quickly and roaring waterfalls fill the valleys. Marmots and bears wake up from their winter hibernation. And the giant redwoods of Northern California offer pleasant escape from the heat of the sun. We’ve already shared our favorite autumn, winter and early spring hikes, now it’s time to follow the seasons and share some ideas about late spring. Because there’s tons of options! 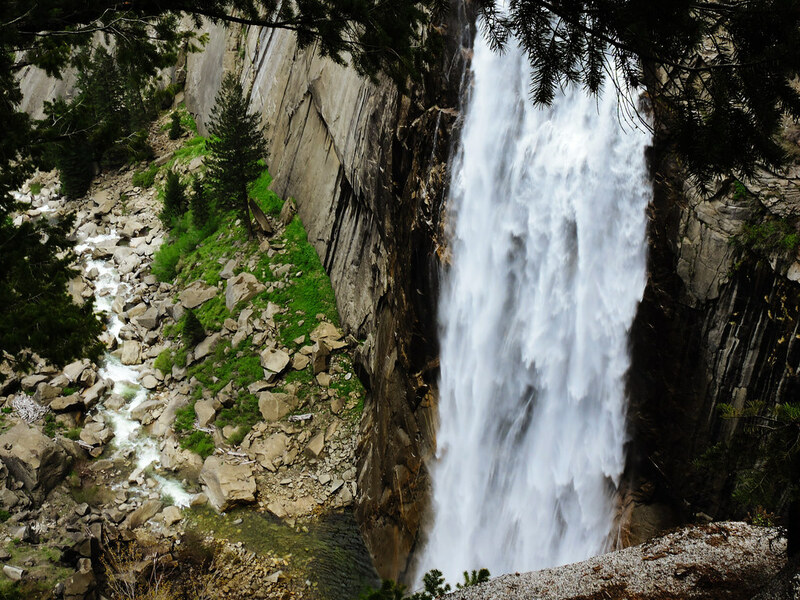 May and June is the high season for Yosemite’s huge and famous waterfalls. The 2425 feet (739 m) tall Yosemite Falls is actually the 5th tallest waterfall in the world! It can be seen from almost everywhere in Yosemite Valley and its roaring sound fills the valley in late spring and early summer. But Yosemite Valley has several other stunning waterfalls, too: Bridalveil Fall, Sentinel Falls, Ribbon Fall, Vernal and Nevada Falls. Most of them feed from snowmelt only (including Yosemite Falls), so May and June is the best time to admire their beauty and a lot of them dry out by August. Some of them require short hikes or walks, but a lot of them can be seen from the road as well. Our favorite day hike is by far the big loop of Mist Trail – Panorama Trail – Four Miles Trail which offers close views of Vernal, Nevada and the hidden Illilouette Fall. This loop also leads up to Glacier Point where the best panorama of the valley with all of the huge waterfalls can be seen. 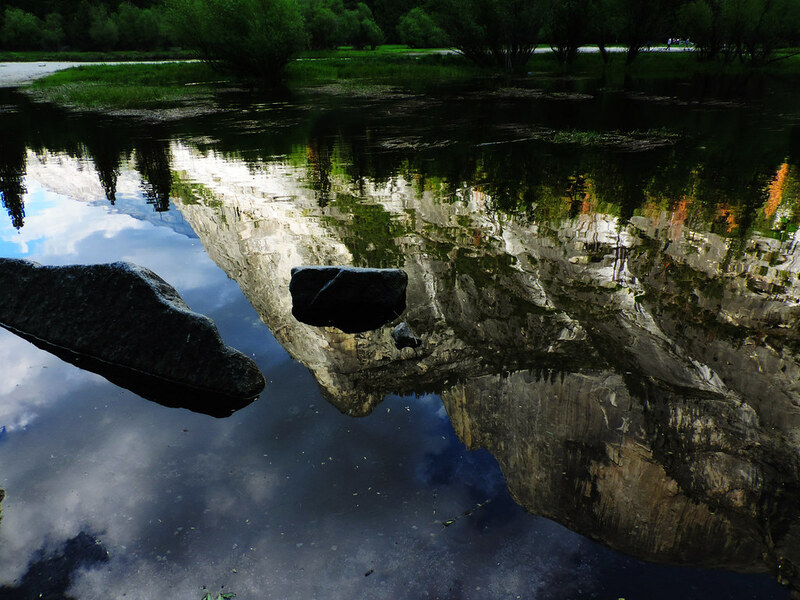 Mirror Lake is another reason to visit Yosemite Valley in late spring. 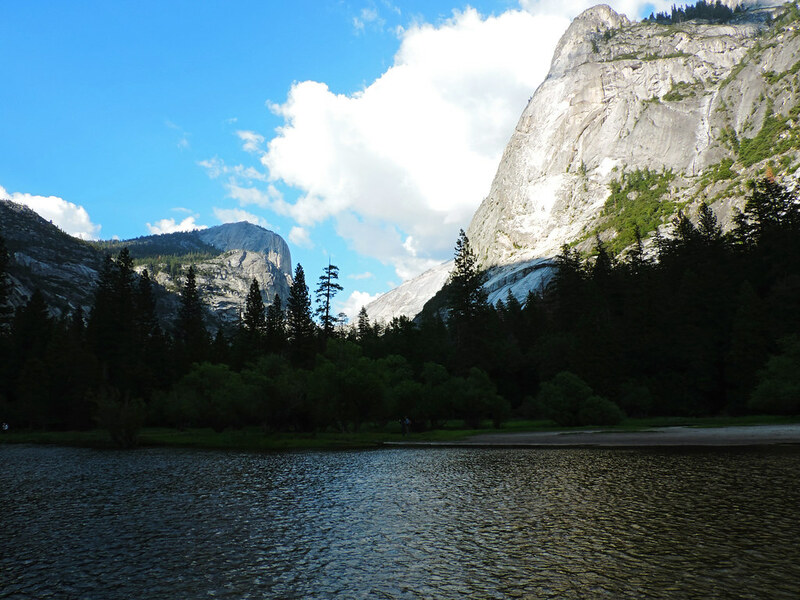 It’s more a pond than a lake, but if it has a high enough water level then it perfectly reflects Half Dome and the other surrounding granite peaks. It took us maybe half an hour to reach Mirror Lake from the trailhead and it’s a very easy hike along a charming little creek. While the tallest waterfalls are all located in Yosemite Valley, when the snow is melting the entire park is full of small waterfalls. If you prefer getting out of the busy valley, Chilnualna Falls Trail is a very nice option as this hike goes along a creek with countless smaller waterfalls and then a somewhat larger one at the top: the 690 feet (210 m) tall cascading Chilnualna Falls. 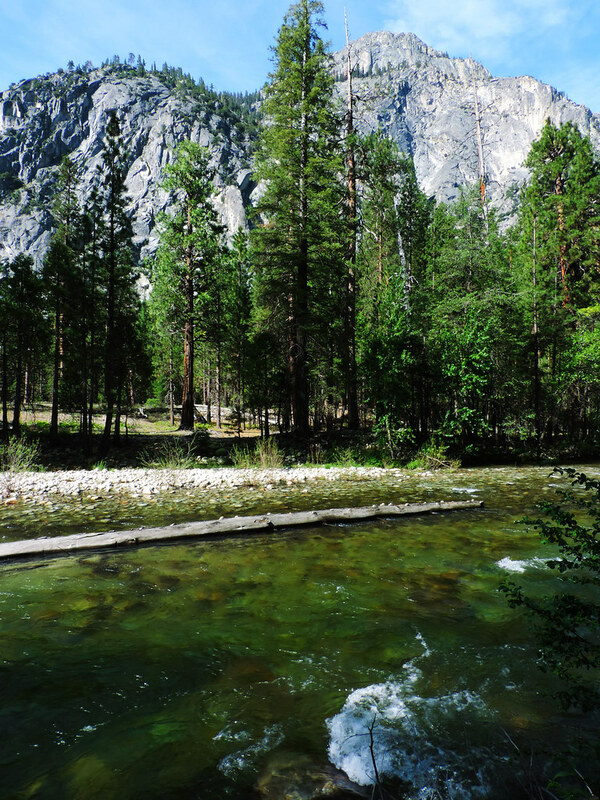 Kings Canyon is another beautiful park of the Sierra Nevada. Driving along the canyon itself is a fascinating experience and the fast, ice cold and crystal clear Kings Creek is roaring with water in May. While Kings Canyon is backpackers’ paradise because most of its trails are remote multi-day hiking trails, there’s also some beautiful walks and easy hikes to be found there. Our favorite hike is Paradise Valley Trail to Mist Falls which is a perfect day hike in a stunning canyon along the clear green fork of Kings Creek. There’s two easily accessible waterfalls along the road: Grizzly Falls and Roaring River Falls. Both can be reached by a short walk from the parking lot and they are the nicest in late spring / early summer (yes, the time of snowmelt is the best time to see waterfalls, I guess, you can use it as a general rule in a lot of parks). What a surprise, Sequoia National Park is also up in the Sierras! And it’s the land of giant sequoias including General Sherman, the biggest tree on Earth! Several short loops lead through sequoia forests, they are easy, accessible and will take your breath away, so no excuse at all to miss them. The Foothills is the lowest area of the park and its valleys and meadows are full of blooming flowers by the beginning of May. But the areas at higher elevation also start to become accessible throughout May. 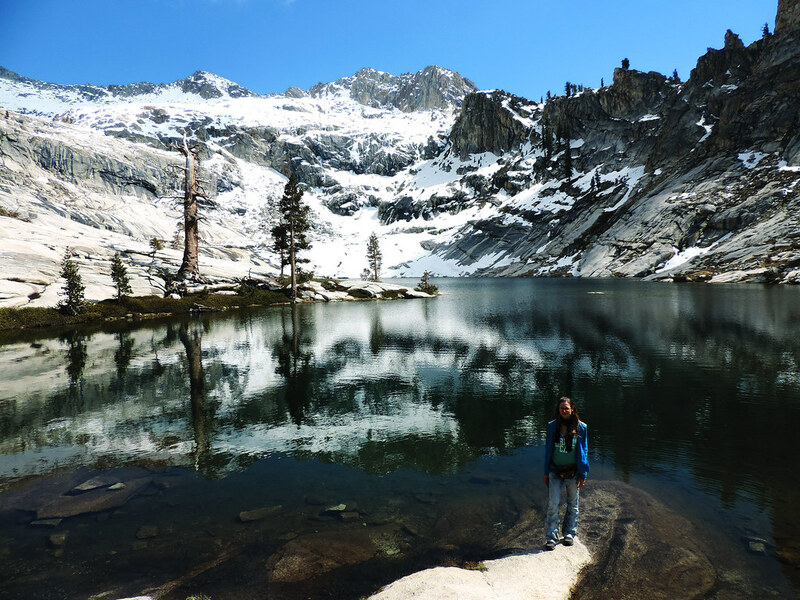 We had our most magical snowy hike in this park as we hiked part of the High Sierra Trail in the middle of May after a quick snow shower. Hiking in T-shirt in the snow definitely has a feeling and May weekends are your biggest chances for that. And for enjoying the view of the snowcapped high peaks. Not to mention the waterfalls! 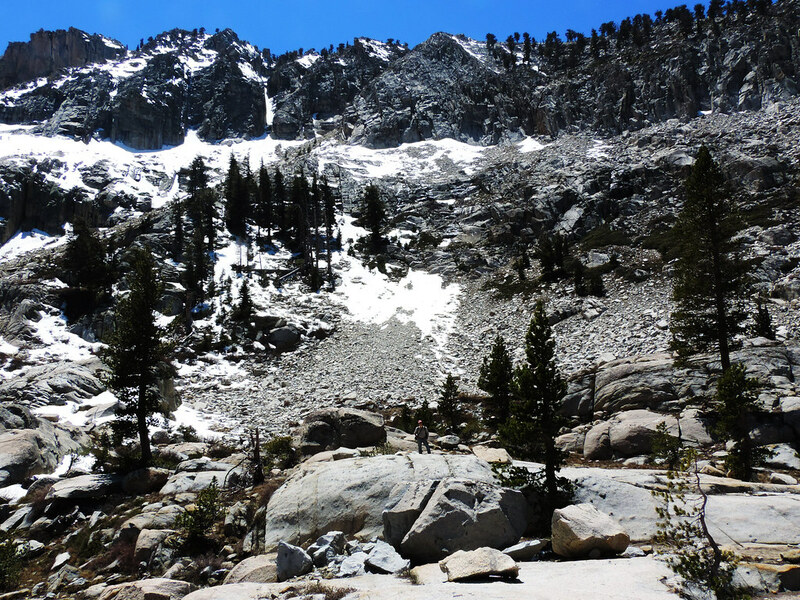 Marble Falls and Tokopah Falls are two lovely ones which are accessible by short and scenic hikes, but small waterfalls and streams can be found everywhere in the park as snow melts. Marble Falls Trail is actually our favorite wildflower trail in the park located in the Foothills area. The redwoods of Northern California are located on the ocean coast and though they are snow free year round, winter and early spring is very cool, stormy and rainy. We know it even from our own experience visiting the northern redwoods last March. We didn’t really believe it could rain much in California in spring. Well, now we know what pouring rain in the redwoods means: stream where the trail should be and every single pieces of our clothes soaking wet (raincoat included, of course, we had it). At least we had a perfectly sunny day, too, but we learned our lesson: early spring is unpredictable there. Milder and drier (and also foggier) weather starts from April and these parks offer a stunning escape from California’s heat. Quiet giant forest in the fog… as you imagine, it has an unforgettable atmosphere. 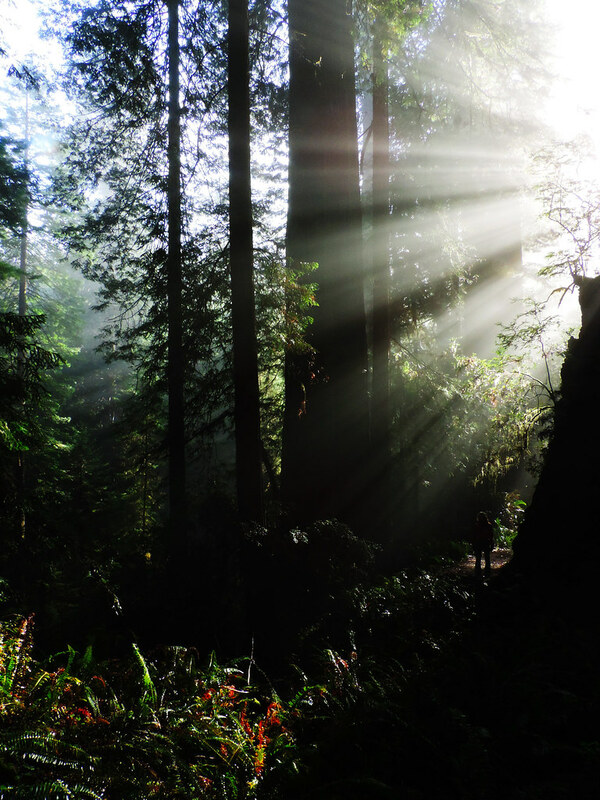 Redwood National and State Parks actually mean 4 cooperatively managed parks: Redwood National Park, Jedediah Smith Redwoods State Park, Del Norte Coast Redwoods State Park and Prairie Creek Redwoods State Park. We mostly hiked in Prairie Creek, our other hikes were washed away by the rainstorms. But still, the hikes we did have taken our breath away! 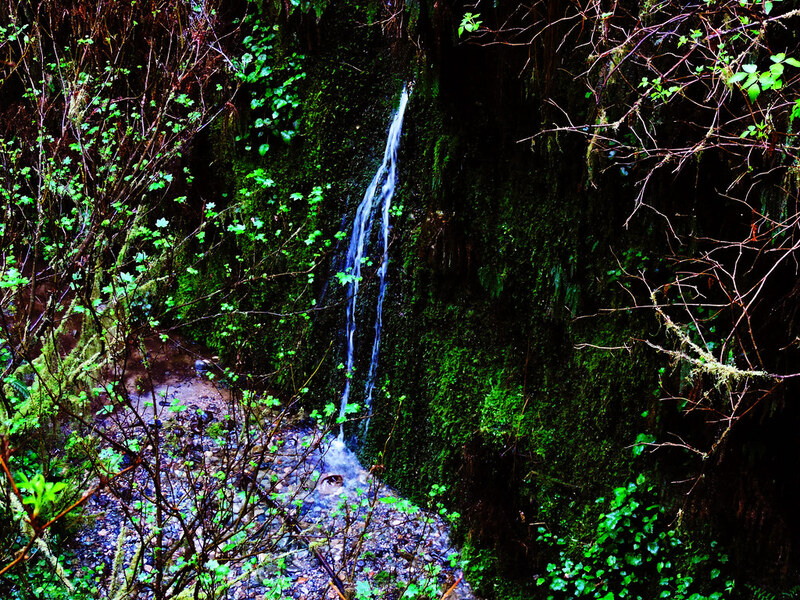 Fern Canyon is like a far away place from the age of dinosaurs… and anyway: there’s nothing like the redwoods. There’s no words to describe them, they are something to see and experience. We’ve started this series to show you our favorite California hikes for all the seasons. You can get ideas for the best early spring, summer, autumn and winter hikes, too. Next post How NOT To Quit Your Job And Travel?